Join German sociologist Oliver Nachtwey and German political scientist Niko Switek for a conversation on how neoliberalism is causing a social crisis in Germany and the rest of Europe. Upward social mobility represented a core promise of life under the “old” West German welfare state, in which millions of skilled workers upgraded their Volkswagens to Audis, bought their first homes, and sent their children to university. Oliver Nachtwey analyses the reasons for the political and social rupture in postwar German society and investigates the rise in popularity of right-wing populism throughout Europe. Oliver Nachtwey is Associate Professor of Social Structure Analysis at the University of Basel, and a fellow at the Institute for Social Research in Frankfurt. Niko Switek is DAAD Visiting Assistant Professor for German Studies at the Henry M. Jackson School for International Studies and the Department of Political Science at the University of Washington. "A true masterpiece. 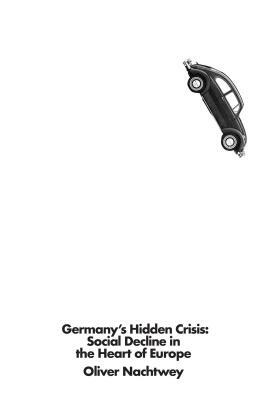 Focusing on the case of Germany—which has long been mispresented and misperceived as a paragon of economic success and political stability—Oliver Nachtwey offers a detailed account of the crisis of contemporary capitalism." – Wolfgang Streeck. Co-presented by GOETHE POP UP SEATTLE and ELLIOTT BAY BOOK COMPANY.